and the art of coaching. The Precision Nutrition Certification is your springboard to a deep understanding of nutrition, the authority to coach it, and the ability to turn what you know into results. If you’d like to learn more, join the free presale list below. The program opens on October 2nd, 2019. But, if you’re on this list, you’ll save up to 33% and get the chance to enroll 24 hours early. Only opens twice a year, spots sell out quickly. To help you master the science of nutrition and the art of coaching so you can get life-changing results for yourself and the people who come to you for advice. This is the system the pros turn to. Learn from our 20+ years working with everyone from Olympic gold medalists, to NFL, NBA, UFC, and NHL athletes, to recreational exercisers, to Fortune 100 companies like Apple and Nike. Study at your own pace, anywhere. Work through the textbook, workbook, and online course videos at your own speed, anywhere in the world. Plus, you’ll get help when you need it via our private, online support group. This program is the culmination of the Masters and PhD courses we’ve taught, the data we’ve collected, and the research we’ve published. Take the exams online at the end of each chapter (18 chapters total). Achieving 75% or more over the course of the program earns you a passing grade and your Pn1 credentials. The Precision Nutrition Method has been tested with over 100,000 clients and patients. Plus it’s been validated in 3 separate peer-reviewed scientific publications. Get the textbook and certification materials shipped directly to your door, at no cost, no matter where you live. Access to the ProCoach software. As a PN student you’ll get the chance to use (for a small additional fee) ProCoach, our cutting-edge nutrition coaching software. Try it for 45 days. If it’s not for you, return your textbook and get a full refund. Eric Cressey, Molly Galbraith, Adam Lloyd, and Jonathan Goodman. Learn more about the Level 1 Certification and hear what industry experts think. If you had a trusted source of education… a proven system… and real-life advice to help guide your professional development. If it came in a clear, understandable, self-paced learning format that suited your schedule. And if, at the end of the process, you had a system (like ProCoach) to deliver the habit-based nutrition coaching you just learned, so you can grow a practice while working less and getting better results. In addition to learning how nutrition really works, you’ll understand how people think and act, and you’ll be able to turn that into a thriving coaching practice. This means you’ll get better results, attract more clients and patients, keep them for longer, and make more money than you thought possible. … you can become Precision Nutrition Certified. A deep understanding of nutrition, the authority to coach it, and the ability to turn what you know into results. The PN Level 1 Certification will teach you all that, including the methodology we’ve tested, refined, and proven with over 100,000 coaching clients. most innovative companies in health and fitness. The principles behind Precision Nutrition are the same type of advice Dr. John Berardi has been sharing with Olympians and professional athletes. What’s different is that now anyone can work with Berardi and his team of coaches for less than it costs to join a CrossFit gym. experts come to for help. synthesis of everything we’ve learned over 15 years of coaching and research in nutrition. Dr. Berardi (a.k.a. “JB”) is a co-founder of Precision Nutrition, which has become the world’s largest online nutrition coaching and certification company. He’s an advisor to Apple, Equinox, Nike, and Titleist, and was recently selected as one of the 20 smartest coaches in the world. I’ve devoted my entire career to making health and fitness something that’s achievable and attainable for every type of person, from every walk of life. Precision Nutrition advises organizations around the world, coaches elite athletes & sports teams, and has been featured in leading publications. There’s a reason over 2 million people come to our website for advice every single month. “Thanks, John, for making me bigger and stronger. You are the best thing that I've added to my training regimen." missing piece in health and fitness. After 25 years in the field, we’ve learned that professional nutrition coaching is missing in every corner of our industry — from personal training and manual therapy, to functional medicine, group exercise, yoga, and beyond. Without effective nutrition skills, professionals struggle to get impressive results with the people they work with, which often signals the end of the relationship. After trying (and failing) to help multiple clients or patients, it’s easy to see why many lose their passion for the work and even consider leaving the field altogether! But with effective nutrition skills, you can feel confident, competent, and credible. You can offer advice that you know is right. And you can transfer knowledge in the right way, so that each person you work with gets the results they’re looking for. Put simply: Knowing how to coach nutrition effectively is the key to helping people get the results they deserve. Life-changing results with Precision Nutrition. system for 12 months. This allows us to continually test and validate our methodology. that you’ll be able to see the same type of results with everyone who comes to you for help. Want proof? Hear about the program, straight from our clients. See firsthand how the PN Method has impacted the lives of our clients. See what happens with 365 days of PN Coaching. Here are even more before and after photos of our coaching clients. These are just a few of the thousands of clients whose lives have been changed using PN Coaching. that works for them and their body? Learning how to coach nutrition on your own won’t get you too far. The information you’ll find in textbooks is usually repurposed material from clinical dietetics, which focuses on topics like what to feed hospital patients. Other times, it’s more suited to advanced academic study and postgraduate research, not real-world coaching. Plus, where do you start? What information is most important? How can you learn step by step, focusing on the key things you need to know (without getting stuck in the weeds of “too much information”)? Even if you’re self-motivated and interested in this topic, it’s really hard to do it all yourself. For most people, going back to school isn’t a good option, either. Getting a degree costs too much money and takes too much time. And often, at the end of those four years, you understand the science of nutrition… but you haven’t been taught the psychology behind helping people eat better — crucial to being an effective nutrition coach. I’m afraid that situation is the worst. The internet is a wild, wild west of strong opinions backed by little-to-no data. A mountain of decontextualized, deprioritized, and often incorrect information that is more likely to leave you feeling confused than confident. How to use both nutrition science and coaching psychology to get the best possible results for the people who turn to them for help. How to get the education they need — on their terms and within their schedule — without having to go back to school. Except the Precision Nutrition Level 1 Certification. Once you register, you can start right away with our online study strategy guide – and you’ll get your textbook shipped to you, free of charge, anywhere in the world. Get access to more than 40 coaching tools we use with our own clients. Once you receive your course textbook and materials, you’ll find all the forms, questionnaires, and assessment tools we use here at PN. They’re all yours to use with the folks you work with. Our mobile and desktop coaching platform works in conjunction with your textbook. Here’s what your Home Page will look like, complete with lessons, videos, and exams for each chapter. Notice that you can access everything from whichever device you prefer. Step 1: Read the chapter and mark that it’s been completed. Step 2: Watch the corresponding video lecture or listen to the audio lesson. Step 3: Answer the practice questions in the workbook that you received with your textbook. Step 4: Review the chapter FAQs. Step 5: Take the end-of-chapter exam. By the end of the course, you’ll have written 18 short, 10-question exams, for a total of 180 questions. Get at least 135 of the questions correct (75%) to earn your Pn1 credentials. We’ll send your official certificate immediately after you pass. Most of our students pass on the first try. But just in case you don’t, you’ll still have 5 more tries at the exam. And of course, we’re here to help you along the way if you need it. Get your business listed on the PN website. Once you’re certified, you can provide your business and contact information to be listed on our site. That way local people interested in PN-approved help can easily find you. What's new in the 3rd Edition? Get the latest science, the latest practice — the very best nutrition education anywhere. Indeed, over 2 million people passionate about fitness and nutrition visited our website last month. That’s enough to fill the Dallas Cowboy’s stadium 20 times over. Yet we’re never satisfied with yesterday’s success. Nutrition science is dynamic, new discoveries are made almost daily. And that’s just on the research side. As we continue to coach clients (over 100,000 of them to date), we’re discovering new methods of helping them achieve real, lasting behavior change. That’s why we’re constantly updating the course curriculum. This is great for you since we just released our third edition. Brand-new 600-page textbook, with the latest research in nutrition, exercise, and psychology. Each chapter teaches you key nutrition and coaching concepts. We took all the complex research and simplified it into an easy-to-understand format that makes learning enjoyable. The first half covers the science of nutrition. The second half teaches you a step-by-step process for putting what you’ve learned into action. Brand-new video lectures, one for each chapter of the textbook, to boost your understanding and your retention. Narrated by Ryan Andrews, MS, RD, and Brian St. Pierre, MS, RD, each video seminar corresponds with each textbook chapter. They’ll help you better learn the material… and better retain what you learned. Watch (and re-watch) whenever you like. Check out 4 sample lectures by clicking any of the videos. Brand-new assessment forms and questionnaires to help you better understand client and patient needs, and unlock their potential. Once you receive your textbook and materials, you’ll find all the forms, questionnaires, and assessment tools we use here at PN. They’re all yours to use with the folks you help and support. Online community of like-minded people and top experts. You’ll learn alongside an extremely supportive group of nearly 30,000 health enthusiasts from around the world — including world-class yoga instructors, top strength coaches and personal trainers, doctors from a variety of disciplines, and more. Plus you’ll get daily access to PN’s top experts and coaches — that way you can ask questions and get feedback or advice whenever you need it. Learn what ProCoach can do for you and how you can use it in your coaching practice. Tested with over 100,000 coaching clients, ProCoach makes it easy for you to deliver our proven nutrition & lifestyle coaching to anyone who needs it. It’ll help you grow your practice while working less, making more money, and living life on your own terms. The Precision Nutrition Level 1 Certification is trusted by elite health and fitness professionals worldwide. The Level 1 Certification allows you to immediately affect positive changes in the lives of your clients. One of the things I absolutely love is the focus on the big things first — the behavioral modifications, and the quick fixes that can yield dramatically improved results. What really makes a great coach, and what I think works so well in the PN Level 1 program — it’s not about telling someone to do something. It’s about knowing what questions to ask, and then leading the person in the right direction. The Level 1 program gives you the skills and tools that you need to actually go out and do it. So it’s not just academic information. It gives you everything you need to be a successful coach. I think the coolest thing about the program is the promotion of behavior change. If I can teach my patients how to change, I can make a world of difference without having to pull out my prescription pad. In the end, when people tell me they want to teach other people how to live healthier lifestyles, I tell them the Precision Nutrition Level 1 Certification is the way to go. As I was going through the course I realized it was perfect; it’s exactly what I wanted and needed to learn. The information it taught me vs. the 4th year nutrition course I took as a Kinesiology student...it was like comparing apples to oranges. The nutrition course was good. But the Precision Nutrition Certification was that much better. We have tried every nutrition program out there. Precision Nutrition is by far the most thorough, informative, effective system we have seen. Not only is our entire team PN-certified, we recommend it to every gym we consult with. This certification is not only incredibly thorough, it also mixes practicality and reality into the program. The Precision Nutrition team is as interested in science as they are behavioral modification. And that's the true way to get results. From the average Joe to the professional athlete, Precision Nutrition is the system coaches, trainers and nutritionists need to add to their toolbox for optimal success. I highly recommend this certification for anyone who wants to make a lasting difference in their athletes’ performance and health. The Precision Nutrition Certification helped me to combine the science of coaching with a sustainable method of implementing that science, making me a more capable professional. The Precision Nutrition Certification gave me the confidence of knowing I'm following a proven method that's brought success to thousands of clients. And it shows! My own success has increased since applying what I learned. The Precision Nutrition Certification has added more value to my business by allowing me to use nutrition coaching with a whole range of clients. That's just one of the reasons I highly recommend the program. The PN Certification is everything we’ve learned — brought together, and shared with you. Every year we give away over $250,000 for clients who do the best in our coaching program. Here are a few winners, their results, and what you can expect by applying The PN Method. Instead, it’s deep knowledge that’s client-tested, scientifically proven, and constantly updated based on the data we’ve collected working directly with close to 100,000 coaching clients and patients. That’s right, Precision Nutrition is the only nutrition certification company in the world that successfully coaches real clients every day. We only take a small number of new students and teach them our proven nutrition system. Spots are first-come, first-served, so don’t miss out as we’ve historically sold out in hours. The general public price of the Precision Nutrition Level 1 Certification is $99 USD per month for 12 months. But when you join the free presale list today, you’ll get the opportunity to get it for only $79 USD per month or a one time payment of $799 USD – up to 33% savings. 4 years of part-time grad school. Study at your own pace — program is entirely self-paced, so there’s no deadline. You can take as much time or as little time as you like. Additional costs for textbooks, housing, student fees, etc. All course materials included, free shipping. Get all your certification materials shipped directly to your door, at no cost, no matter where you live. Learning in an academic format that might not work for you. Learning as easy as reading your textbook and watching a video, with short end-of-chapter quizzes to test your knowledge. Often has to be done on site. Delivered entirely online — study whenever you want, wherever you are. Take the online exams when you’re ready. Might not be able to apply most of the material to your coaching practice. All material can be immediately applied to your coaching. Continuing the University comparison, if you decided to go back to school for a nutrition degree or to become a registered dietitian, you’d likely spend anywhere from $10,000 – $20,000 USD per year. If you did a four-year degree, you’d be looking at spending upward of $40,000 – $100,000 USD. The only problem? Most university courses lack real-world coaching opportunities. And most professors aren’t experienced coaches. That’s why many students find that they’re stuck once they graduate. It’s also why, in the Precision Nutrition Level 1 Certification, we’ll share a proven coaching system that’s guaranteed to get results for anyone who comes to you for help. Indeed, after coaching over 100,000 clients & patients, we know what works. We’ve created a bulletproof system. And we’re making it available to you at a very affordable price. Our students make a commitment to learn from us — and we make a commitment to help them become better coaches. Then our students decide for themselves: Was it worth it? If yes, they earn their Pn1 credentials and head out to change people’s lives. If no, we give them a full refund. That’s our promise. 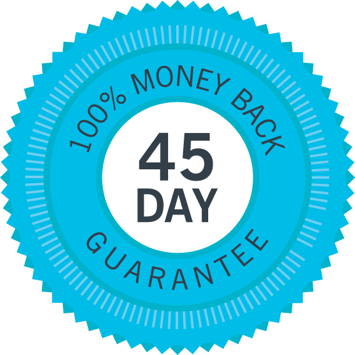 Try the PN Level 1 Certification for 45 days. If you’re not happy with what you learn, return your textbook and we’ll give you every penny back. We’re confident in what we do and we stand by our work. The next Precision Nutrition Level 1 Certification group opens on October 2nd, 2019. On October 2nd, registration for the Level 1 program opens to a small group of health and fitness professionals — along with those thinking of joining the field. When you join the free presale list today, at no obligation, we’ll send you more info about the program and give you the chance to enroll on Tuesday, October 1st – a full 24 hours before we open to the general public. Plus you’ll save up to 33% off the general public price. A deeper understanding of nutrition, the authority to coach it, the ability to turn what you know into results. Join the presale list today. Only opens twice a year. We recently went to our Facebook page (450,000+ fans) and asked our students and graduates to share their thoughts about the Level 1 Certification. Click this image to download the table of contents and introduction. It’s for any health, fitness, or wellness professional (or anyone who’s thinking of joining the field) who wants to feel confident in their ability to successfully coach nutrition and get better results for the people they work with. We’ve worked with over 50,000 students from every corner of this industry — from personal training and yoga to functional medicine, holistic wellness coaching, and beyond. Whether you’re already mid-career or just starting out, this certification will give you the knowledge, systems, and tools to make a real, lasting change with anyone you work with. If you follow that structure, you can expect to spend 3-5 hours per week on the certification materials. Since there are 18 total chapters, you’d earn your Pn1 credentials in a little over four months. Although you can move more quickly or slowly depending on your situation. The exams are delivered online; they can be accessed whenever you’re ready. Also, each exam corresponds with the chapter you just studied, and completing the exam unlocks the next chapter. For instance, if you read Chapter 1 of the textbook, watch the corresponding video lesson, answer your workbook questions, and review the FAQ, you’ll be ready to take the Chapter 1 exam. Once the Chapter 1 exam is completed, you’ll instantly see your results and get access to the Chapter 2 materials. You can’t fail a specific exam. Your score for the course is cumulative. So you could do very poorly on a few exams and still pass the course as long as you answer 135 out of 180 questions by the end of the course. If you don’t earn 135 out of 180 points in the course, you can write a re-do exam at the end of the course. You’ll get 5 chances to earn 75% or greater on this exam. Is the PN Level 1 Certification eligible for CEUs (Continuing Education Units)? What if my certification organization isn't on the list? No problem. Many organizations accept our course for CEUs on a one-off basis. To do that, you’ll just submit a summary of the course and a copy of your certificate to the organization for review once you’ve graduated. How long does it take to get my textbook? Once we ship your textbook and course materials, you’ll get the tracking details so you’ll know exactly where your package is. The health and fitness field is changing quickly. Obesity and diet-related illness are at an all-time high and millions of people need help with their nutrition more than ever. Whatever specific field you work in, it’s important to understand that the most successful professionals will be those who have a deep understanding of nutrition science and the ability to effectively help others. That’s what we do every day. 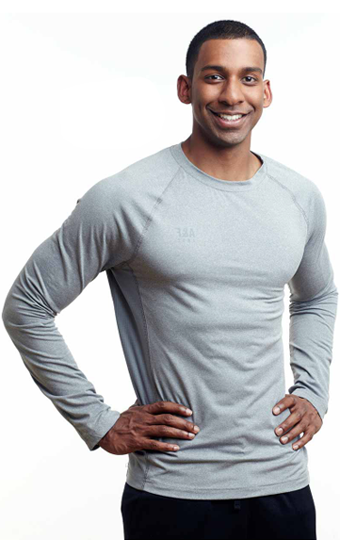 And we’re ready to teach you the same science-based coaching method we’ve used with major health organizations, professional sports teams, Olympic athletes, and over 100,000 clients and patients worldwide. Of course, if now isn’t your time, we understand. We hope this helped you understand who we are and what we do. We’ll be here if and when you need us. But if you know that the time for you is now, we have a strong recommendation for you: Go for it. Give yourself the opportunity to truly help others. Make the commitment to get the education you need. Only opens twice a year, sells out quickly. Join the Level 1 Certification presale list. We'll be opening registration to a small number of new students on October 2nd, 2019.
off the regular price, and be allowed to enroll 24 hours before the general public.